Line art of the stand for client review. The bronze sculpture of Chief Joseph, by David Manuel, takes center stage in this client's home. 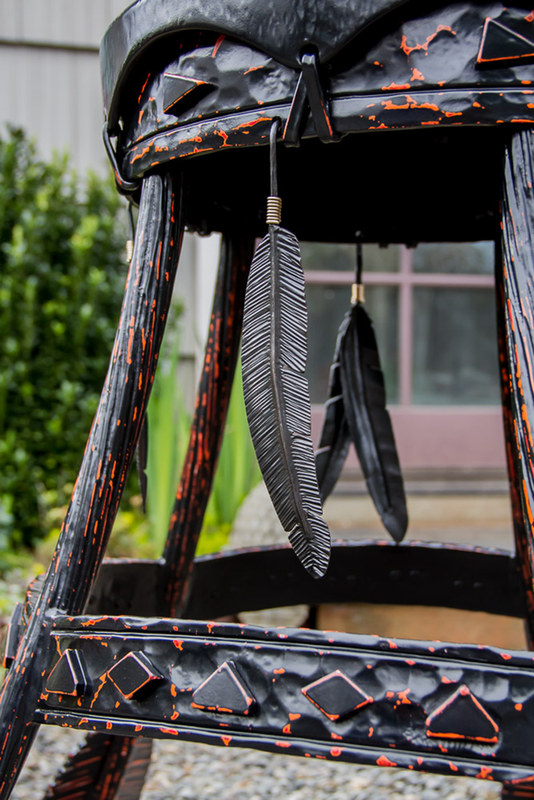 The stand is an extension of the statue — with the drum-like top, triangles on the bands and feather detail — and reflect the traditional nature of piece. For many additional photos from design, paint and completion, visit the blog.